Our beloved BUKU Music + Art Project returns in 2019 to the glorious city of New Orleans with a stellar lineup that is stacked to kill. 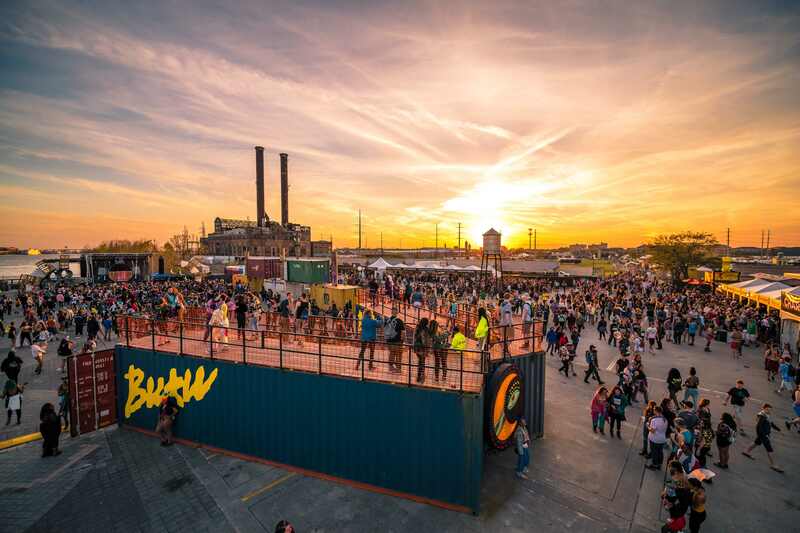 BUKU will take over its home at Mardi Gras World from Friday, March 22 – Saturday, March 23rd. Headlining Friday night will be Lana Del Rey, Excision, Kevin Gates, and RL Grime, while Saturday’s top-dogs feature A$AP Rocky, Dog Blood, Griz, and Louis The Child. Joining in beside them for the party will be Gud Vibrations boys NGHTMRE and Slander, $uicideboy$, Dashboard Confessional, Claude VonStroke, Fisher, Mayday Parade, The Black Madonna, Getter, Ekali, G Jones, Liquid Stranger, Tokimonsta, 1788-L, Papadosio, Peekaboo, We Came As Romans, a slew of local New Orleans talent, and dozens more. The vast array of talent that BUKU welcomes to New Orleans is one of the key distinguishing features of the fest, however there is also a huge focus on the art side of the story. Beautifully adorned installations and stage designs create immersive experiences for guests. The breathtaking location set on the Mississippi River beside the twin bridges of the Crescent City Connection provides the ultimate backdrop for the vibrant playground. Last year’s BUKU edition featured unforgettable performances from Alison Wonderland, Virtual Self, Illenium, Gryffin, REZZ, A Day To Remember, MGMT, Bassnectar, Boogie T, Ganja White Night and more. We’re stoked to see how it all unfolds in 2019 for another weekend of blaring bass, good vibes, and massive productions. Join the Bukrewe and get down with us this March, riverside NOLA style. Stay tuned for more announcements coming soon, and visit thebukuproject.com for tickets & more info.